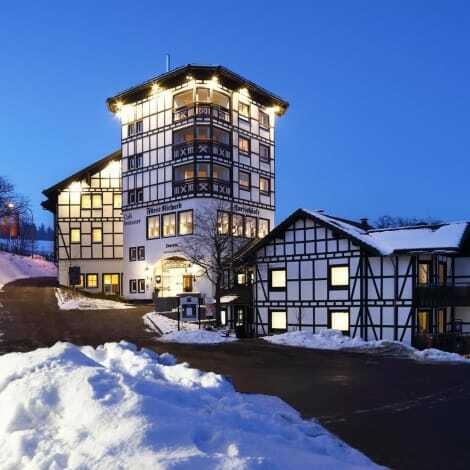 This 3-star hotel in Winterberg features a spa area with an indoor pool and a free internet terminal in the lobby. It lies a 10-minute walk from Winterberg Train Station. The Hotel Pension Nuhnetal offers a range of individually furnished, non-smoking rooms with a TV and private bathroom, and some of them feature a balcony. Located in the neighbourhood of the main building, several fully equipped apartments are available as well. A rich buffet breakfast is available each morning. The bar offers a range of drinks. Guests can use the Nuhnetal's pool, sauna and infrared cabin. There is also a massage and cosmetics studio. Guests staying for 2 nights from April to November receive a WinterbergCard Plus for free or reduced entry to most local sights. A sports and fitness centre and a bowling alley are located nearby. The ski lifts are a 10-minute walk away, or 5 minutes by bus. Relax at the full-service spa, where you can enjoy massages, body treatments, and facials. Skiers will be in heaven, but there are recreational options available for non-skiers as well, including an indoor pool and an indoor tennis court. This hotel also features complimentary wireless Internet access, complimentary babysitting/childcare, and ski storage. Peacefully located on the outskirts of the famous winter sport resort of Winterberg, Big Mountain Hostel offers Hotel and Hostel-style accommodation, a restaurant, a bar, a snack bar and ski equipment hire on site. Free WiFi access is available. Rooms here are classically and individually decorated with carpeted floors and wooden furnishings. Each room includes a wash basin and hairdryer, while bathrooms and showers are shared. Guests staying in the hotel rooms can enjoy a flat-screen TV as well as a free bottle of water in the room. The hotel rooms offers view of the Bobbahn cable cars, Erlebnisberg Kappe Attraction Park as well as the ski area. A hearty breakfast buffet is provided every morning, and the restaurant serves traditional German and international specialties throughout the day. Popular activities in the area include hiking, cycling, and skiing, and the Kahler Asten Mountain is 2 km from Big Mountain Hostel. The Erlebnisberg Kappe (sports and recreation area) is 10 minutes on foot. The Big Mountain Restaurant is 300 metres away. Winterberg (Westf)‎ Train Station lies 2 km from the hostel, and the A46 motorway is 30 km away. Free parking is available on site. Take advantage of recreation opportunities such as a sauna or take in the view from a terrace and a garden. Additional amenities at this hotel include complimentary wireless Internet access and ski storage. Featured amenities include complimentary newspapers in the lobby, luggage storage, and a library. Free self parking is available onsite. Relax at the full-service spa, where you can enjoy massages and facials. Skiers will be in heaven, but there are recreational options available for non-skiers as well, including an indoor pool and a fitness center. Additional features at this hotel include complimentary wireless Internet access, ski storage, and tour/ticket assistance. Make yourself at home in one of the 60 guestrooms. Complimentary wireless Internet access keeps you connected, and satellite programming is available for your entertainment. Private bathrooms have complimentary toiletries and hair dryers. Conveniences include phones, as well as safes and desks. Romantik Berghotel Astenkrone offers accommodations throughout the area in Winterberg. lastminute.com has a fantastic range of hotels in Winterberg, with everything from cheap hotels to luxurious five star accommodation available. 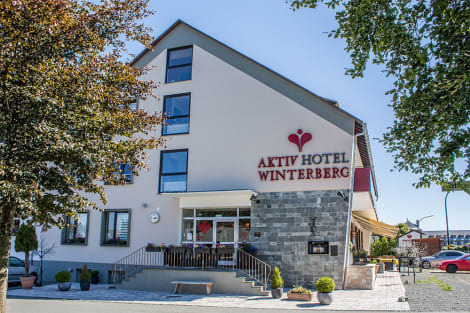 We like to live up to our last minute name so remember you can book any one of our excellent Winterberg hotels up until midnight and stay the same night.